GMOS - What are they? “Almost every other industrialized country has regulations to label genetically modified foods, except for the U.S”. If someone were to ask me why I started this website, this topic would be my resounding reason! There is no other topic I am more passionate about than genetically modified organisms (GMOs) or genetically engineered (GE) foods, (they are one in the same) and the LACK OF LABELING in our country. What if over half the food being sold in grocery stores contains pesticides and there are no warning labels? What if you develop cancer in 10 years because of it? How do these chemicals affect unborn fetuses? Do you think this is fair? Wouldn’t you WANT to know? So what exactly is all this talk about GMOs? Well the molecular engineers working in labs for Monsanto, the giant American biotech company, are gene-splicing vegetable seedlings with poisonous pesticides and herbicides so that the plants are protected from diseases, insects etc. Plants are growing with chemicals like RoundUp already IN THEM. Some countries are boycotting exports of vegetables to their country for this exact reason. So in other words, the SEEDS you are buying to make your garden this summer have ALREADY BEEN GENETICALLY MODIFIED!! One of the disturbing facts I have come across during my research is the active ingredient, glyphosate, found in Monsanto’s Roundup formula. This ingredient is currently under “Registration Review’ by the EPA, with a determination by 2015. A research paper has shown the devastating effects on rats fed diets with this genetically modified corn laced with RoundUp. GMOs are in most packaged foods you find in your supermarket, along with your dairy, your meat, and your produce. If you choose to not eat organic, the only way of knowing is to start reading your labels. If any of the following are on it, then you probably have a GM food. Although this list is not complete by any means, it should give you a pretty clear idea how wide spread GM foods are. WARNING: EVEN READING EVERY LABEL MAY NOT TELL YOU IF YOU ARE CONSUMING A GM PRODUCT BECAUSE MANUFACTURERS ARE NOT REQUIRED TO LABEL EVERY INGREDIENT IN THE UNITED STATES!!!! There is good news though! There is a Non GMO shoppers guide listed on nongmoshoppingguide.com which is amazing!!! 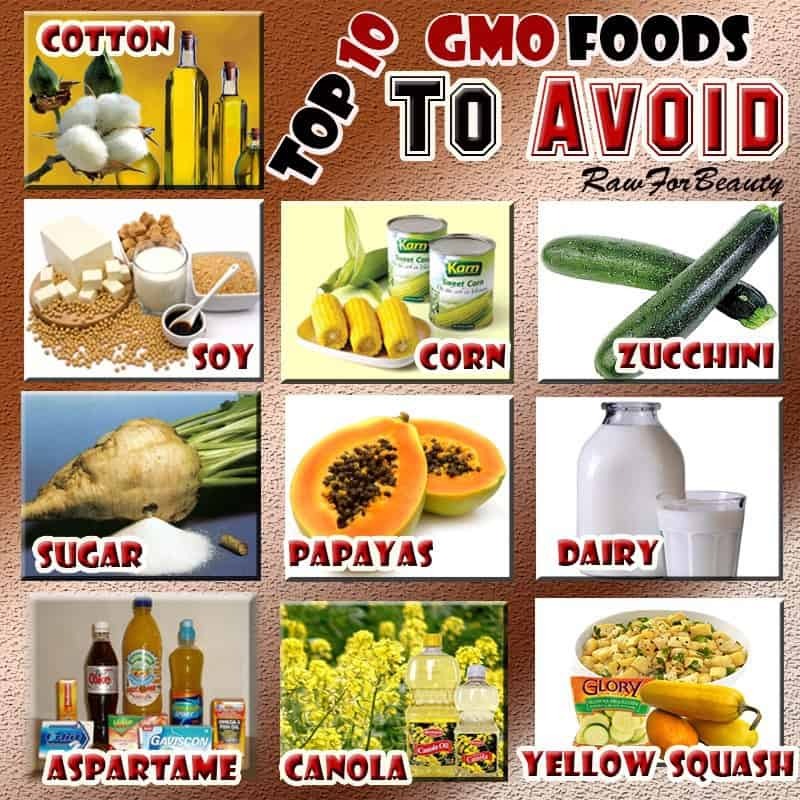 It lists all the foods by category and the manufacturers who are certified Non-GMO. You can download it to your phone! I love technology!! 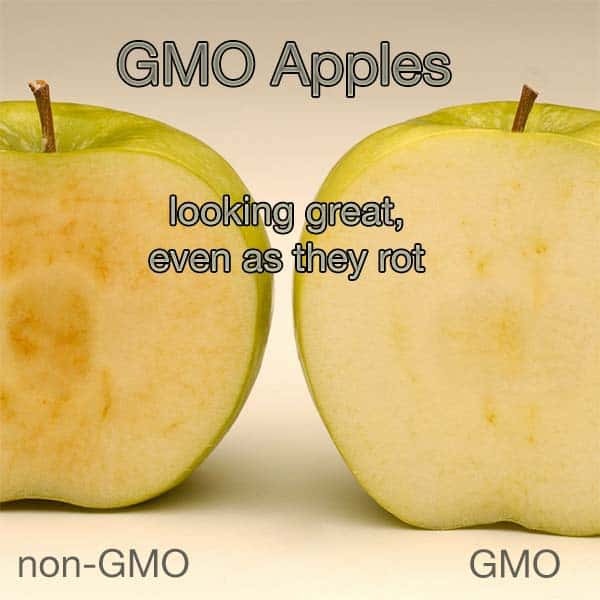 There are a lot of mixed reviews concerning genetically modified foods. A lot of research is held under data protection by companies, and I personally believe the science and study of GM foods is still young. One of the reasons manufacturers don’t have to label GMs is it’s very complex to do so for processed foods that have several ingredients that come from different sources. Like flavors for instance, it is almost impossible to maintain non-GMO with 100% certainty. Very few processed food products are absolutely non-GMO unless you have a single ingredient from a single source such as sugar, all you need is an animal eating GM corn and everything coming from it will now be modified. And most companies do not test their product for being non-GMO. They simply rely on statements and documents from their suppliers. In order to protect yourself try to just eat real, organic food, preferably from your local farmer. Ask them where they get their seeds, if they use any pesticides. Did you know most fruit from your supermarket travels an average of 1500 miles! Can’t ask that farmer what kinds of seeds he used, now can you? 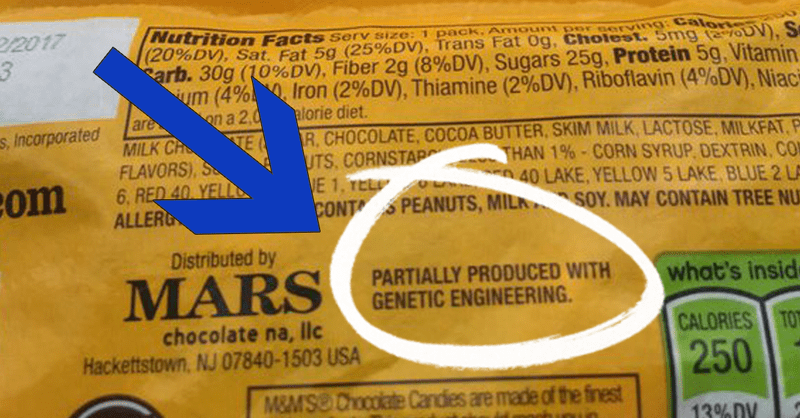 If there is ANY possibility the product is genetically modified, we ask that it be labeled. We have a right to know what is in our food. Just let us know and make up our own minds. I personally do not want my food being made in a lab. I prefer what God intended and that was to eat off the land, as pure and as clean as possible. And going back to the olden days, like your Dr. said “everything in moderation”. A baked good now and then won’t kill you, some modified potatoes won’t either. My concern is we are eating this food by mass consumption now. It is in virtually EVERYTHING we eat. Therefore, moderation goes out the window. Has anyone researched what these huge quantities are doing to us? We can’t escape genetically modified foods if we are to eat and live on this planet. The only thing we can do is research, inform ourselves and spread the word to others. With all due respect, we have been “genetically modifying” food for THOUSANDS OF YEARS. Selective breeding is how avocado seeds aren’t 90% of the fruit, corn is edible, I could go on. Genetic engineering has made it possible to augment these practices by inserting desirable genes from one crop into another. This technology could reduce food waste from pests/rotting, increase water-to-crop yield efficiency, add additional nutritional value, or even REDUCE PESTICIDE USE! This fear-mongering is the reason people have demonized GMOs for reasons that they don’t deserve. I agree with you that GM foods should be labeled, and I even think Monsanto has some shady business practices, but I really wish people like you would stop spreading biased opinions (not based on evidence from looking at your sources) on technology that is frankly a miracle. The Earth’s population is increasing while the amount of arable land certainly isn’t. Golden rice, pest-resistant crops, I’d put my money on them (and spend less doing it!) than organic crops that only the rich can even afford. If you want to buy organic, go for it, just don’t act like you are “happily unprocessed” by doing so: organic farmers are still allowed to use pesticides/fungicides/herbicides, just “naturally occuring” ones like copper and sulfur. That stuff has not been optimized to work as well as (GASP) ~synthetic~ pesticides, which means that organic fungicides are used at 2.5-22X higher rates than manmade ones (National Center for Food and Agricultural Policy). thank you for your comment Jamie. I still prefer to eat organic and will continue to do so the more I research and learn how our food is really being grown, and yes Monsanto would be my #1 reason. I do agree with you that food is limited, however our is soil and streams are continuously being contaminated as these massive CFAO farms have continuous runoff from these animals and pesticides. The best practice goes back hundreds of years to organically grown and harvested food. Each year my vegetable garden grows as I learn how to grow my own food. 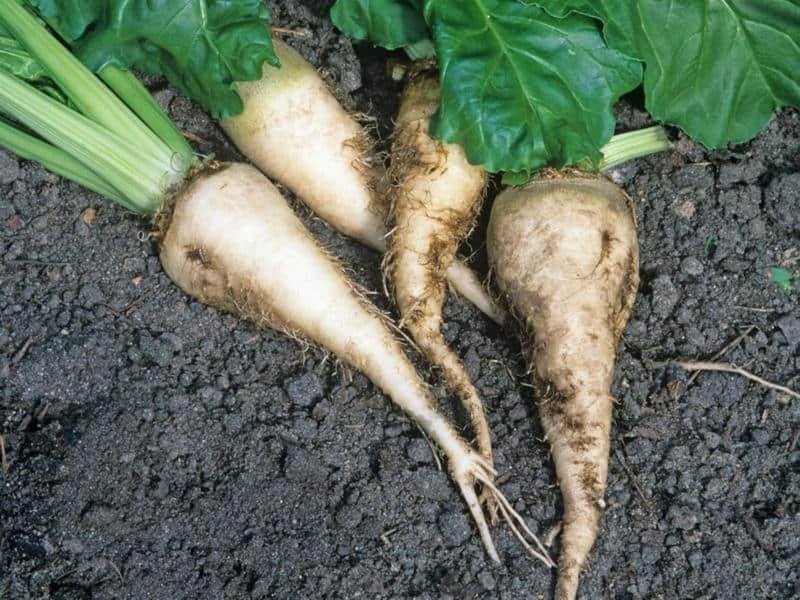 Another point I want to make is people years ago ate what was ‘in season’ in their area. People waited anxiously for a vegetable or fruit to come in season and cherish it’s short life span. Now we are shipping produce, vegetables and fruit year round in massive quantities and picking them while they are just beginning to ripen which lessens their nutritional value and again covered in pesticides. No thank you.